Lottoland is famous for providing an excellent selection of international lottery betting products. What some people don’t realise is that they also offer a very impressive casino gaming section on their site as well. 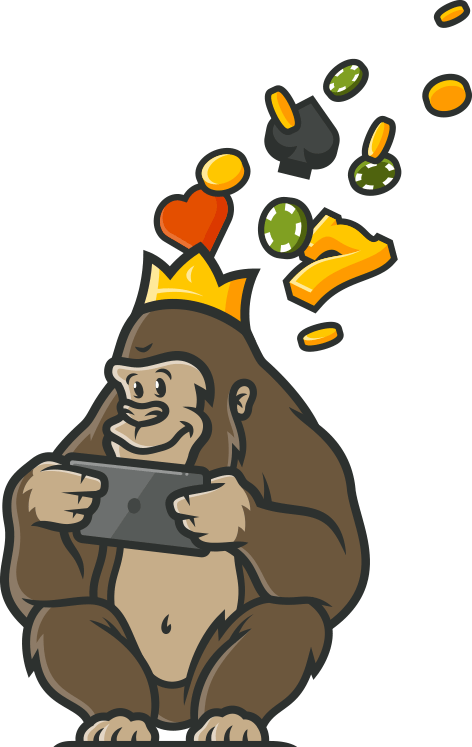 Of course the Casino Gorilla sniffed this out long ago, but even he was surprised by how much the casino at Lottoland has grown in recent times. This Gibraltar based website has been picking up awards for its lottery products for a number of years, but looks set to start making an impact in the online casino world very soon as well. Visit the Lottoland Promotions page and you will find information on all of the different offers and promos in operation at any given time. Many of these relate to lottery prizes as opposed to the casino section, and in most cases these are offering free line bets on a choice of different lotteries. These come in the form of free line bets on lotteries such as Millionaire, Irish Lotto and US Powerball. As an alternative to free line bets, two-for-one offers are also available. The current Lottoland offer does not include a free spins aspect, although keep an eye on the Promotions page as doubtless there will be free spin offers coming soon. Free spins give players a chance to check out some of the latest slot games on a site, and is always a popular offer with slot gaming fans. With free spin offers there will generally be a wagering requirement in order to release any money won from those free spins. We await the next Lottoland free spin offer in order to confirm just what type of wagering requirement will be in effect. No bonus code is required when you take advantage of any of the free lottery bets from Lottoland. When you pay a visit to the Promotions page, simply select the lottery you prefer to bet on and click the Bet here button. Your free lottery bet will be available in your cashier and with a little bit of luck you will be able to hit on a winning set of lottery numbers. Some of the lottery jackpots from Lottoland can reach into hundreds of millions, so these are greater than the ordinary prizes on offer at the majority of online casinos. Lottoland smashed the record for the largest online gambling pay out in 2018, so they have demonstrated that they can pay out the biggest of jackpots. The Casino Gorilla wasn’t sure whether to expect a live dealer casino at Lottoland, but this casino is just full of pleasant surprises. In fact there are just under 20 live gaming tables, which cover a wide range of different options. Naturally you will find blackjack here, along with a number of different roulette games like Immersive Roulette and Live Lightning Roulette. Besides these you can do live dealer versions of Casino Hold ‘Em, Caribbean Stud Poker, Dream Catcher, Three Card Poker and Football Studio. With so many games to choose from, the Lottoland Live Dealer Casino can hold its own against many a competitor. Lottoland Casino is perfectly compatible with mobile gaming, no matter which type of phone or tablet you favour. Modern online casino games are designed to be playable on smaller screen devices without losing any of their impact, as so many people prefer to go online using their phones these days. You can download an app for Android and Apple devices, or you can elect to simply access the site via your browser or url. Either way you will be able to enjoy a fine selection of different games to enjoy when you are on the move. There is a limited selection of payment options available from Lottoland, but one which should suit most players. Visa and Mastercard debit and credit cards are accepted, and for most players in the UK and Ireland these are the easiest and most popular choices. For those people who prefer to link an electronic wallet to their gambling accounts, Neteller and Skrill are the options available here. Paysafecard allows players to deposit anonymously with that voucher system, although withdrawals would have to be done via a bank transfer. A new and interesting addition to the range of payment methods is the MuchBetter app which allows easy transactions from your phone and which is growing in popularity in the gaming community. Lottoland is licensed and regulated by the Gibraltar as well as the UK Gambling Authorities. These regulators impose strict conditions on their license holders in relation to fairness and security. Lottoland has an impeccable record on both counts so you know that you can have fun on this site in safety and without any concerns. The latest encrypted software keeps personal data safe and allows for secure financial transactions. The Lottoland customer support hours are from 9AM to 10PM (GMT) on Monday to Friday, and then from 9AM to 4PM on Saturdays and Sundays. You can get in touch with a member of the support team by using the live chat button on the right of the screen, or else by sending an email. Contact details are available in the comprehensive FAQ and Help section of the site. The support team are clearly well-trained and professional in their responses, and we have heard no negative feedback about them. The Excluded List at Lottoland specifies that ‘any person citizen of or resident in a country currently listed by the Financial Action Task Force as posing a risk to the international financial system’ is not permitted to join. Also, any person, citizen of or resident in the United States of America cannot become a customer of this site. Beyond this, normal country restrictions apply. 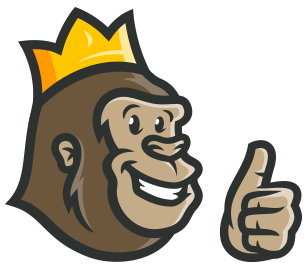 Lottoland is primarily known as a lottery betting site, and so the Casino Gorilla did not have particularly high expectations when it came to the casino platform available here. While you will find a greater selection of games at other online casinos, you will struggle to match the sheer quality of game available at this surprising casino site. There are some tremendous slots to choose from here, coming from top designers like NetEnt, Microgaming and Yggdrasil. With a decent live casino section and lots of instant win games – not to mention that excellent range of lottery betting options – Lottoland truly offers a great all-round gaming experience. This site has won plenty of industry awards in the past few years, and doubtless there will be more to come in the future too. I like specialty games, so I signed up here. The site has all the traditional games, but the Keno and Lottery games are more fun for me. I was not overly impressed by the game selection on this casino and site design seems a bit outdated. However, the casino has regular bonuses and promotions which made the overall gaming experience quite fun and exciting. The customer service was also great. There is no support for PayPal though.